The Deck Store will have a Full Display located in Booth #1244. Group Tickets (Minimum of 20 tickets) $8.00 each visit minneapolishomeandremodelingshow.com. HERO DAY is Friday, February 16, 2018. All active and retired military personnel, fire, police, healthcare professionals + teachers can get into the show FREE! ** Offer does not extend to family members. PUBLIC SERVANTS DAY is Friday, February 16. All current government workers with valid government/employee ID get into the show for FREE! Metro Transit will provide free rides on buses and METRO lines to the Show on both Saturdays. 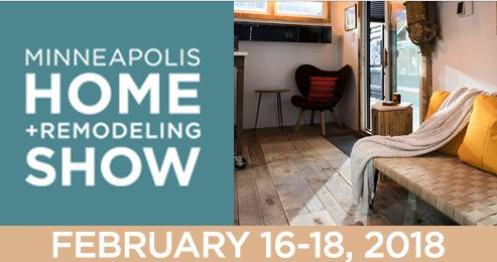 Visit the main page of https://minneapolishomeandremodelingshow.com to download and print your free transit pass.